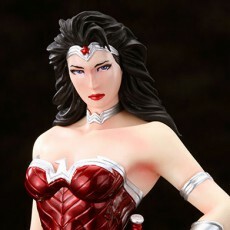 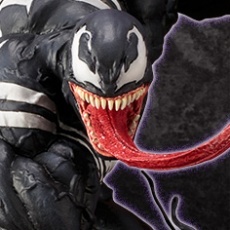 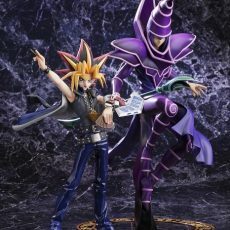 Kotobukiya’s hit line of statues from the world-famous manga/anime series Yu-Gi-Oh! 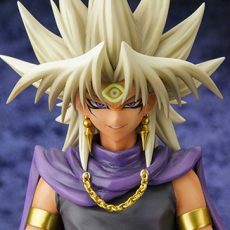 Duel Monsters expands with a brand new ARTFX J presentation (a bold new expansion designed “to bring classic Japanese characters to their fans worldwide”). 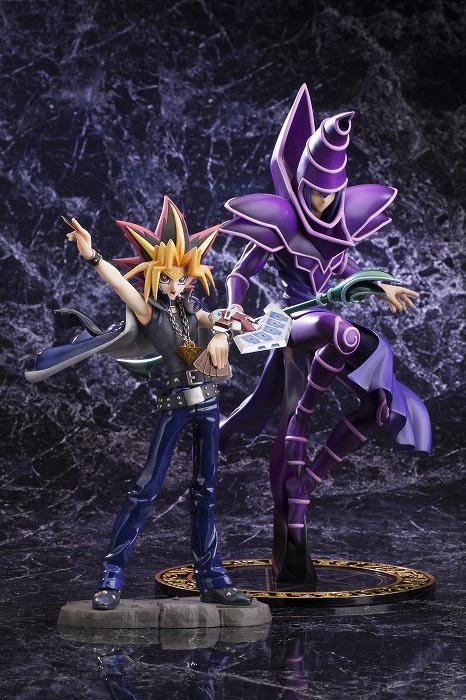 Joining Yami Yugi and Seto Kaiba is one of Yugi’s signature monsters, the Dark Magician! 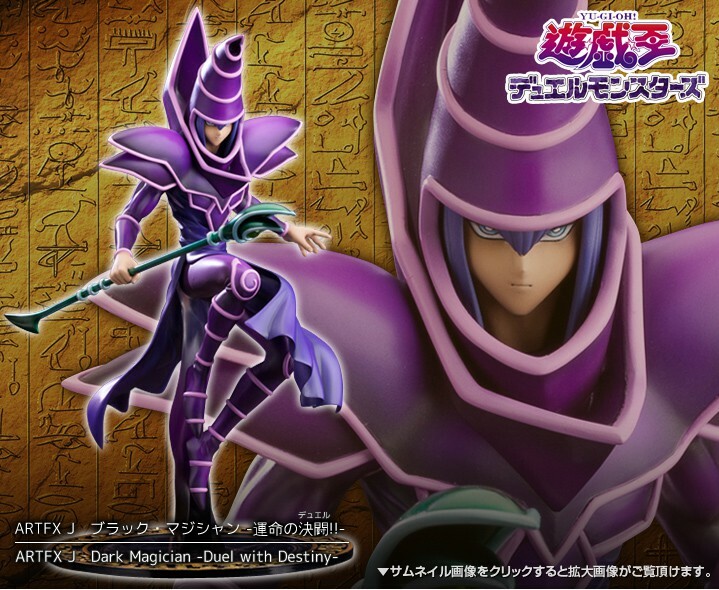 The powerful monster later revealed to be the spirit of an ancient guardian and servant of Pharaoh Atem, the Dark Magician is an ominous sight in a duel with his dark blue layered armor with distinctive pink edges. 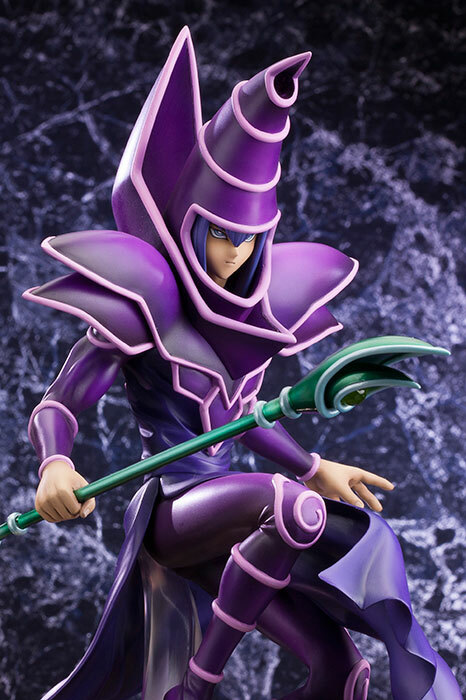 Dark Magician floats over the battlefield, wielding his rod and prepared to unleash his power at his master’master’s command. 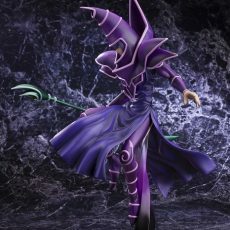 The plates of his armor are intricately sculpted in layers, and his aggressive pose highlights his otherworldly body type as well as his billowing robe. 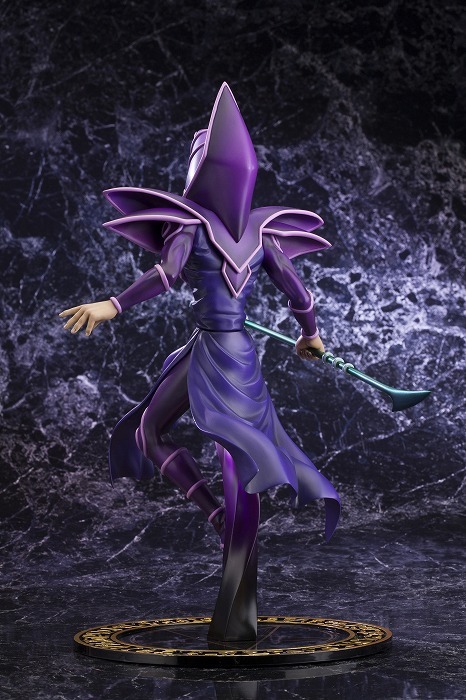 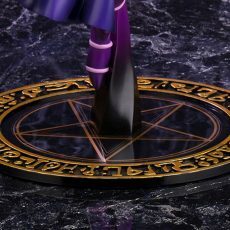 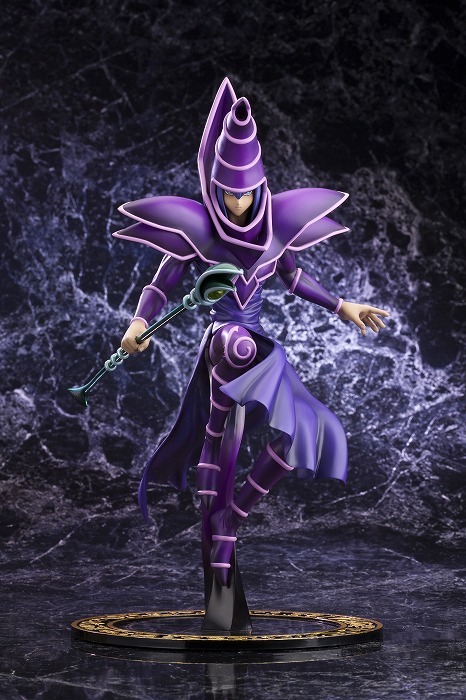 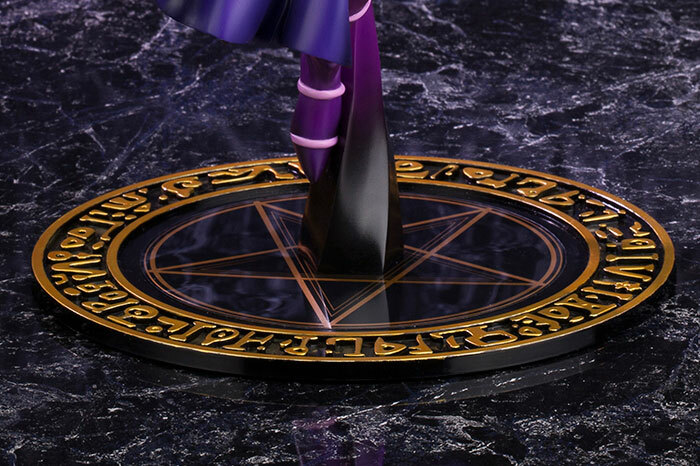 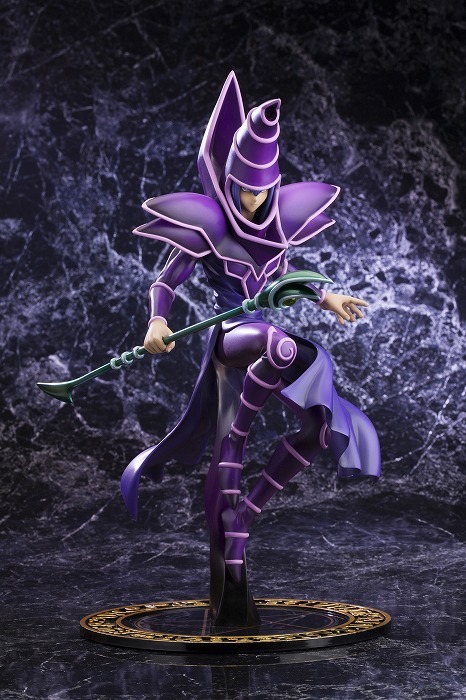 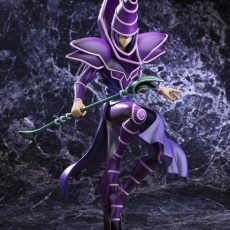 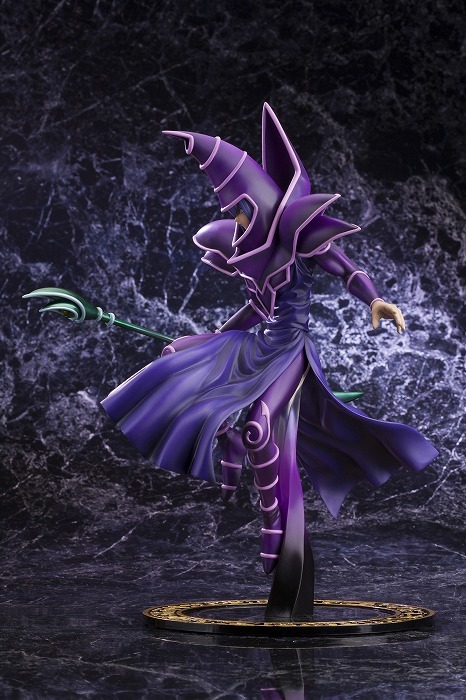 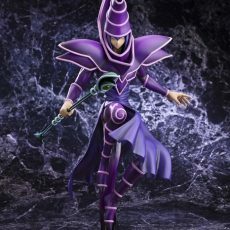 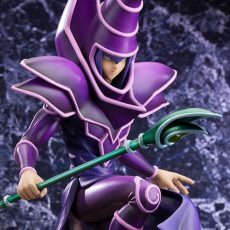 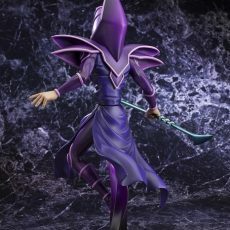 Dark Magician is nearly 12 inches tall (1/7th scale) as he hovers on his special magical display base.